Universal 3-in-1 body and facial cleanser that rinses away makeup and oil, balances the pH of your skin eliminating the need for a toner. A gentle glycolic, menthol, and green tea blend begins the exfoliating process to reveal smoother skin. This powerful serum contains a unique blend of lactic, glycolic and malic acids that smooth fine lines to exfoliate and promote healthy cell renewal while enhancing skins clarity. Plant derived apple stem cells and Resveratrol protect cells and improve skin texture and tone. Vitamin C lightens and brightens. Cucumber, chamomile and aloe strengthen skins acid mantle. Glycolic, latic, and retinol work to rejuvenate and repair aging and all levels of acne prone skin. Image Exclusive peptide blend significantly reduces fine lines for visibly tighter skin. Hyaluronic acid and Shea balance skin and retain moisture level. Licorice extract lightens and brightens. A pharmaceutical-grade, high potentency Vitamin C cleanser that gently removes makeup and impurities. Essential antioxidants and vitamins soothe dry, dehydrated and rosacea skin. Voted Best Image Product! Incorporates the new technology of oil-soluble Vitamin C with the highest bio-availability to immediately soothe the visible effects of environmentally damaged skin. Vitamins A, E, and highly potent anti-oxidants nourish skin to create a healthy, youthful glow. This ultra hydrating repair crème nourishes and protects with Vitamin A, C, and E. This anti-oxidant rich formula repairs aging skin while promoting healthy cell renewal. A harmonizing blend of organic chamomile, green tea and oat kernel extract provide soothing, healing, and anti-inflammatory properties to restore the skin’s natural balance. An evening regenerative crème delivers essential anti-aging nutrients and vitamins to the skin. Organic Japanese green tea, aloe vera, chamomile and grape seed restore and balance. A balancing, hydrating, and lifting eye gel with organic ingredients and medical effectiveness. The multipeptide formula reverses the signs of aging. Specifically designed to enhance the appearance and volume of lip contours. This ultra-hydrating, powerful polypeptide complex will add up to 40% of moisture volume and will diminish fine lines with repeat usage. A gentle cleanser designed to balance and optimize skin’s pH. Plant derived stem cells as well as plant extracts, nourish and protect skin from environmental pollutants. Nutripeptides work synergistically to create the appearance of plump, firm skin while Vectorize-Technology™ delivers a complex of encapsulated ingredients time released up to 48 hours for a long lasting, intense effect. Supports natural defense mechanisms and promotes cell health. This revolutionary night time stem cell crème delivers unsurpassed anti-oxidant properties to your skin. New stem cell technology derived from herbaceous alpine plants supports natural skin defense mechanisms. Contains a concentration of peptides to smooth wrinkle formation and to support collagen regeneration. A daily gel to milk cleanser designed to gently and effectively remove surface impurities while brightening skin complexion and tone. This oil-based cleanser contains plant derived stem cells as well as botanical lightening agents to help fade dark spots and discolorations. Provides optimal preparation for other Iluma lightening products. A lightweight, oil-free serum that treats skin discolorations and redness. Botanical lighteners, vitamin C and grape seed extract gently reduces inflammation promoting a clear, fresh-looking complexion. Vectorize-Technology™ delivers a complex of encapsulated ingredients time released up to 48 hours for a long lasting, intense effect. A uniquely luxurious polishing powder that provides long-term hydration and anti-aging benefits. Leaves skin smooth, illuminated, and ready to absorb active ingredients in serums and repair crèmes. Contains a new generation of natural botanical brighteners, enzymes, and antioxidants to help skin reach a new level of radiance. 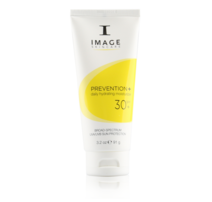 Daily pure physical broad spectrum UVA/UVB sun protection that provides long lasting hydration. 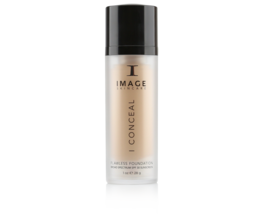 Sheer formula spreads easily and evenly without any residue. Enriched with a blend of anti-oxidants, vitamins and green tea as anti-inflammatory agents. Provides ultimate protection and prevention against the aging effects of the sun. Available in 6 shades: Porcelain, Natural, Beige, Suede, Toffee, Mocha. YANA™ is a highly concentrated liquid beauty supplement powered by Lumiplex™ technology. As the first step in every IMAGE Skincare routine, YANA™ elevates your daily dose of ingredients that benefit vital skin functions like collagen synthesis, moisture retention and free radical defense. It’s formulated with bioactive collagen peptides shown to increase firmness, reduce wrinkle depth and restore hydration, along with ceramides, antioxidants and vitamins that contribute to skin’s youthful, healthy appearance. Free of GMOs, sugar, gluten, dairy and soy.